Former Chairman of ophthalmology faculty at the Kuwait Institute of Medical Specialization. 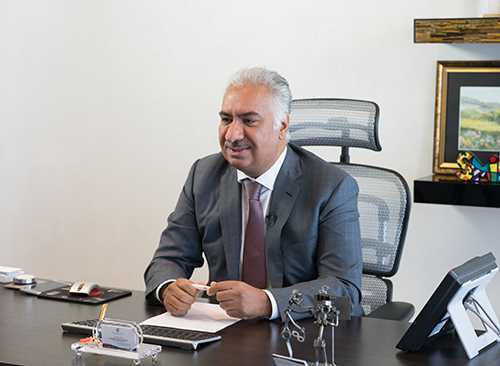 With a vision to revolutionize the eye care sector, it has been Dr. Khalid’s ambition to advance the current condition of the eye care industry in Kuwait. After more than 20 years of experience in the health and ophthalmology sector, he felt that there was a need for a well-organized and world class institution in the field of ophthalmology in Kuwait. To fulfill this vision, Dr. Khalid Sabti established the Kuwait specialized eye center. His reputable Alma mater from the Glasgow University in Scotland and McGill University in Canada provided him the skills required for pursuing such an ambitious mission. Dr. Khalid completed his MBBS in surgery and medicine form the Glasgow University in 1993 and then finished the ophthalmology residency program with the Ophthalmology board at McGill University in the year 2000. Prior to forming his own eye clinic. Dr. Khalid served as the Chairman of ophthalmology faculty at the prestigious Kuwait Institute of Medical Specialization. His management experience there made him understand the exact needs of his eye care patients and led him into taking the initiative to establish his own eye care center in Kuwait. Before that, Dr, Khalid also did private practice in the field of eye care and ophthalmology and ran a residency program in Kuwait for the same in 2008 which he still pursues. His experience lies in various fields including sectors like medical, management and education. He gathered his vast experience in the field of medical education during his associate professorship at the Kuwait University. His experience in the field of higher education spans over 11 years in which he met a lot of patients and students who still remember the excellent service he provided them. His philanthropic nature and entrepreneurial ambition led him to establish the Kuwait Specialized Eye Center where he could continue to provide services to the community and carry on his legacy as a leader in the field of specialized eye care.